The ultimate gathering place for treasury and cash management professionals. NAVY PIER CONVENTION CENTER, CHICAGO, IL. 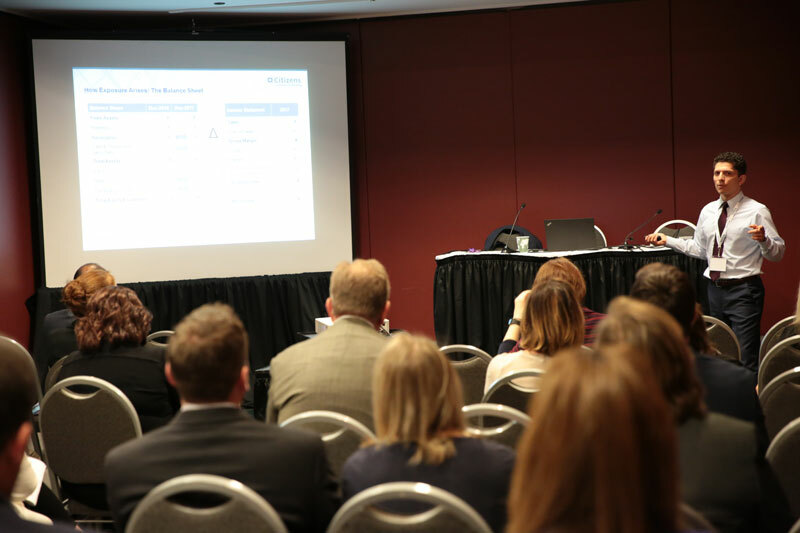 Stay up-to-date on the latest technology trends by attending one of the sessions in our new Treasury Technology session track. 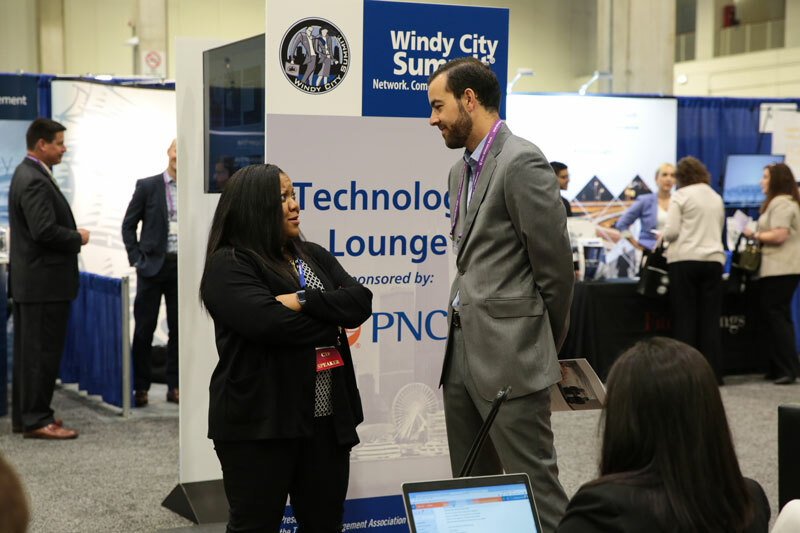 For two-and-a-half days, more than 1,200 treasury and finance decision makers will gather at the Windy City Summit to explore emerging technologies, trends, services, and products driving the profession. Take advantage of this opportunity to highlight your newest products to this key group of treasury and finance executives. Terry was named a Top 5 Speaker of the Year by Speakers Platform and appears frequently on television and radio programs. John has received 19 Emmy Awards and been honored 5 times for excellence in consumer reporting by the National Press Club. Alan has won Emmy, Writers Guild of America, and TV Critics awards and is an author, playwright, screenwriter and producer. Many corporate sponsors have frozen their Defined Benefit pension plans years ago and then ignored them. The problem of maintaining them still remains, with administrative hassles, required minimum contributions and exorbitant PBGC premiums. The panelists offer several approaches designed to eliminate the headache of these plans permanently. We show the advantages and disadvantages of gradual termination and outright termination and strategies for both. We will also address non-qualified plans (SERPs). 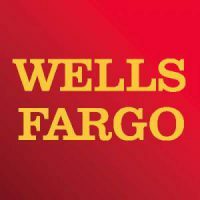 Sponsored By: Wells Fargo Bank,N.A. You’ve issued an RFP, you’ve pressed all your vendors and, yet, your costs for processing payments are still out of control. Now what? Did you know that most costs are not associated with your payment services? Learn the most common mistakes companies don’t know they are making that is costing them time, money and resources. We will review best practices for connecting with your customers through different channels, options for collecting your accounts receivables more efficiently and faster, and offer best practices on how your company can accept card transactions in the most cost effective manner. Get a look into the real-world applications of blockchain across the financial services industry. This panel will share industry experts’ perspective on where the technology is having the biggest operational and bottom-line impact both today, and for the future. We’ll share case studies that separate hype from reality, analyze the benefits and concerns of being early adopters and more. More U.S. companies are considering expansion or are currently conducting business in Canada. With the signing of the USMCA, it’s important for companies to examine their banking structure to ensure they are adequately covered to manage their business. Companies need to understand how the nuances in business practice, local laws and the new trade agreement may impact their sales strategy and cash conversion cycle. This session will focus on key considerations when conducting business in Canada. We will examine banking structures and delve into the Payments Canada modernization initiative and its impact on the B2B payments industry. Seasoned treasury practitioners will recall a time when documentation covering derivative transaction capability with a company’s lenders was less onerous. Now, documentation can at times take quarters or even years to complete. In this session, we will review the benefits and structure of the ISDA document along with its key provisions and where negotiations tend to hit snags. Note that our goal is for the session to be educational and does not constitute legal advice. How can you reduce payment risk in the current volatile economic environment? Financial institutions have many ways to help secure your payments during the current ‘trade wars’, currency risks and unstable markets. The current economic expansion is on the verge of the longest running expansion since the signing of the Declaration of Independence. Still, there’s no end in sight for the current growth. The economic focus increasingly turns to structural challenges, like the federal government’s growing fiscal imbalance. You won’t want to miss this timely, dynamic and educational presentation. Today, we see certain mega trends in treasury and finance which are relevant to treasurers and CFOs. Some of these trends concern the role of the treasurer and CFO, some of them target the work routine or the areas of responsibility. The role of tomorrow’s CFO and treasurer is changing rapidly: from the former cost center manager to the digital strategist with the task of driving innovation within companies. Digitization offers many options, but it also presents challenges for cash management. Complexity increases, as well as vulnerability to cybercrime while currently given analysis options are still limited. Technologies such as artificial intelligence, the blockchain, Internet of Things (IoT) devices, and peer-2-peer payment solutions have the potential to revolutionize our lives and how we do business as more of the global economy becomes digitized. For example, researchers predict the IoT market will grow from 15.4 billion installed devices in 2015 to 75.4 billion in 2025. At the same time, new technology has further expanded risks from data breaches, ransomware, business disruption, reputational damage, fraud and more. We’ll discuss the current cybersecurity landscape and what businesses can do to prepare for the near future. E-Commerce has changed the way companies sell to customers. Consumers are getting accustomed to seamless, personalized purchasing experiences in their personal lives. That begs the question, how can we make the B2B experience faster and easier. In this session we will explore – how to evolving your business models to meet expectations – the role of mobile – how service teams make a difference. Panelist will discuss proven strategies with examples of how these may be incorporated into public sector financial management. Treasury Strategies will share the results of our current study of what new technologies Treasurers are leveraging in 2019. The key areas of focus are how organizations are using: Robotics Processing (RPA), Artificial Intelligence (AI), Dashboarding, Block-chain and cyber currency usage The session will focus on what use-cases Treasuries have for these technologies and what systems or versions are being incorporated. After a Year of Turmoil, Where Now for Global Markets? Quantitative Tightening has proven a much more difficult challenge for markets than most, including the Federal Reserve, anticipated. In this session we will demonstrate why QT has been so disruptive and where the Fed goes from here. We will also look at monetary policy around the world and what this will mean for markets over the remainder of 2019. The easy money of QE is now behind us, how do we maximize returns from here? Election season is upon us again and the uncertainty surrounding elections tends to have a noticeable effect on the currency markets. This doesn’t just apply to domestic elections, but international elections as well. Are you ready for additional currency volatility in your business? In this session, we will analyze what about the election process creates volatility in the market and how best to manage that risk to protect your business domestically and internationally. Treasurers serve as financial risk managers that seek to protect a company’s value from the financial risks it faces from its business activities. Because risks can arise from many sources, the role requires an understanding of many areas of business. Learn about the risks your organization is facing and how those risks impact its’ financial health. Replacing LIBOR ‘would be the most profound development in financial markets’ for years to come. LIBOR is the rate that banks charge each other for short-term loans, but is also used as the benchmark for other debt instruments. SOFR is based on an overnight rate. LIBOR will be going away and if you are a corporate treasurer leveraging financial instruments for your operations join us and learn what actions you can take now. The ease of implementation and benefits under the new hedge accounting standard have driven demand to capitalize on new hedging strategies for organizations reporting under US GAAP. This session reviews common cash-flow hedging and net-investment hedging strategies and key considerations for applying the new guidance. It offers strategies for maximizing the benefits of Fair-Value hedging of fixed rates, with the new concepts of partial-term hedging, last-of-layer hedging, and expanded benchmarks outlined in the revised standard. Technology is now offering companies of all sizes unprecedented visibility into all accounts payable and accounts receivable related cash flows. This visibility offers companies the ability to manage accounts payable and accounts receivable in harmony, not in silos, to optimize their cash conversion cycles. Join us to discover how companies are leveraging a better understanding of payables and receivables processes to take control of how you and when they make payments and get paid. With industry solutions for faster payment options (such as Real-Time Payments [RTPÃ‚Â®] and tokenized payments directories) now offered among the variety of existing U.S. core payment networks, how can businesses and consumers determine the best solutions to meet their specific needs for enhancing their payments operations? Presenters in this session will explore how the new options help organizations address shortcomings in current payment offerings, such as slow payment speed, lack of transparency and inconsistent accessibility. How to Stay Out of the News for Botched Implementations? It comes as no surprise that nowadays several banks are in the news for botched implementations and outages. So why are banks so prone to outages? With rising consumer expectations, continued digital disruption and intense competition from fintechs and other institutes, banks are under tremendous pressure like never before. The challenge to deliver and keep up with changing business and technology landscapes pushes banks to eventualities they are not ready for. In this session we discuss how banks can ensure their treasury & payments’ implementations meet their goals without being hit by system breakdowns or outages. This session will cover common misconceptions about the CTP Exam that lead candidates to make assumptions that are incorrect. Incorrect assumptions can set up candidates for failure even before they embark on a course of study and exam preparation. Learning how Essentials of Treasury Management (ETM5) is created and how the CTP Exam is developed is the starting point for enabling candidates to have a factual and realistic understanding of what they need to learn in order to earn the credential. This session also offers candidates proven tips and techniques for preparing for the CTP Exam and for ensuring the best chance of passing. The session concludes with a discussion of the new Body of Knowledge text (ETM5). What makes 2020 different from other years? Why is it shaping up to be a pivotal year for treasurers? Have you been keeping your annual resolutions to improve your treasury operations and reduce inefficiencies? Join us to explore five major processes for improvement to be prepared for uncertainties that 2020 may bring. Most cybersecurity programs stop non-valid entry. But what happens when a hacker imitates a legitimate customer or employee by accessing your systems with stolen, yet valid, credentials? Credential staffing and account takeover two of the most common types of cyber-attacks today make it incredibly difficult to make this distinction. Join this session to understand the evolving scale of cyberthreats, and the telemetry tools and best practices available for protecting your organization against fraud. The last year ushered a wave of change in the world of payments – transactions are becoming increasingly digital, faster and smarter. Payments are no longer a “one-size-fits-all” approach – business needs are evolving and there is a need for more fluidity in payments processing. This session will explore the value of an omni-payments strategy and the growing demand for flexibility in how payments are originated, received and reported. We will examine recent advancements that may open the door for new solutions. This session will focus on the hard dollar costs of credit card acceptance and provide a comparison to other receivable options. We will examine the pros and cons of the most common receivable options and investigate the all-in costs (both hard dollar and soft dollar) for each method to provide a comparison. The intent of this session will be to educate attendees on how to evaluate all costs when considering their receivables options. What is ‘market’ in loan documents is constantly changing. This session will outline a strategic approach to negotiating your term sheet and highlight specific negotiation tips — and traps — in loan documents for borrowers. We will walk through detailed examples of language to either avoid or request so that you will end up with maximum flexibility in running your business. These practical pointers will ensure the appropriate risk allocation between you and your lenders. The advent of real time payments, fintechs, artificial intelligence, APIs and other disruptors are transforming the payments and business model landscape by providing technologies and infrastructures for innovation at an unprecedented speed. These new payments rails provide groundbreaking opportunities for businesses to streamline processes, speed transactions and deliver a seamless client experience. In this session, we will bridge the perspectives of banks and their FX clients by providing full transparency to the sales and trading operation as well as reviewing the internal factors that influence pricing and other relationship decisions. After it was announced in July 2017 that LIBOR may no longer exist after 2021, loan market participants have been scrambling to plan for the transition to alternative benchmarks. These plans include ensuring there is robust fallback language in their credit agreements as well as developing an understanding of alternative benchmarks. This session will look at the current state of play on these transition efforts. Transformational Technology includes data analytics, Artificial Intelligence, Blockchain and the internet of things. Alone, these technologies have the potential to change the way you do business and when used together, they become truly transformational, helping you re-imagine what is possible. Along the road organizations often face a skill gap, lack of capital, cultural roadblocks and the ability to leverage the big data and understanding consumer insights. This session begins the coverage of the specific materials from ETM5. In this session, banks and financial institutions will be discussed, as well as how various payment systems (both U.S. and global) operate. The session ends with a detailed discussion of relationship management, vendor selection and the calculations involved in bank account analysis statements. Modern treasury teams rely on treasury management systems to empower their performance, adding the real-time visibility and controls required to achieve operational efficiencies and enable strategic contribution to the business. In this session, treasury experts from ACCO and Kyriba present the immediate key benefits of moving away from spreadsheets, including perfecting cash visibility, reliable and more accurate cash forecasts, and improved FX hedging programs. As a bonus, hear ACCO’s real-life story that drove them to invest in a treasury management system and a few tips and tricks to perfect your TMS implementation. Expanding into Canada brings big opportunity for U.S. companies, but naturally comes with a learning curve. A new frontier means new regulations, tax implications, receivable processes, currency translations, repatriation of funds, and more. Knowing what to expect, and how to execute, reduces headaches, expenses and risk. This session will share cross-border case studies, operational best practices and local intelligence, enabling attendees to strategically mitigate the challenges other companies have faced during expansion. More U.S. companies are considering expansion or are currently conducting business in China, America’s largest trading partner. Faced with an evolving web of customs, laws and regulations that may vary from city to city – it’s critical for businesses to understand how these nuances in business practices, culture and legal guidelines can impact their sales strategy and cash conversion cycle. This session will focus on key considerations when conducting business with China. The goal of the discussion will be to not only highlight banking structures but also delve into cultural and operational difficulties companies may face. The commercial insurance marketplace is changing with the recent property losses, increased M&A activity and regulatory pressures. Come learn what is driving your insurance rates and coverages. We will provide tips on how you can more accurately budget and prepare your insurance renewals to obtain best coverage for competitive pricing. This session will walk through market standards and best practices across the Global Cash Management landscape; comparing and contrasting to the US. We will focus on traditional cash management areas including; payments, collections and liquidity management. We will share corporate treasury and bank insights. The incentives to return to market based liquidity solutions continue to grow with each Federal Reserve rate increase. Even government money market funds with same day liquidity, no SEC mandated liquidity gates and fees and a stable $1.00 NAV now yield over 2%. If you continue to keep operational cash in a bank administered rate strategy of the last decade, now may be the time to reconsider your liquidity alternatives. For two decades, FX risk managers have instituted very similar practices and techniques across all sizes and types of companies. In reality, managing FX risk is uniquely based on your firm’s size, stage, structure and industry. Some of these common practices can lead you into a false sense of security. Attend this session to learn updated techniques on how to clearly define desired outcomes, identify practices to achieve your objectives and better manage FX risk. How Prepared is Your Company to Respond to a Cyberattack? Cyber threats are the number one concern of global CEOs – ranked higher than over-regulation, technological change, and even taxes. Today’s cyber-attacks are not a matter of “If” anymore, but “when” and many companies are not prepared. In this session we will discuss the common mistakes companies make which leave them unprepared. We will discuss what companies should be doing to prepare and who should be involved. We will also engage other corporates in the audience to discuss what risks they have identified and planned for in their playbooks and challenges in testing those plans. This session covers both the basics and the metrics (calculations) used in the area of working capital management. These topics include: cash conversion cycle, management of key working capital accounts (accounts receivable, inventory, accounts payable), and the investment and financing of working capital. The section on working capital metrics covers many of the important calculations used in the area, including days sales outstanding, aging schedules and payment pattern analysis. Sponsored By: Wells Fargo Bank, N.A. The fraud landscape is constantly evolving. Ready or not, fraud attacks will likely hit your company. 78% of companies were victims of payment fraud in 2017. Fraudsters now have access to complex malware and exploit kits in criminal forums, lowering the bar for entry to cybercrime. In this session you will learn which fraud threats pose the greatest risk to companies today and critical strategies your company needs to protect itself. With corporations’ assets, information and reputations at significant risk, real-world solutions and partnerships are required to protect against fraud. So, you have a corporate card program. Now what? From charge-offs and rebates, to fraud and cardholder accountability, managing corporate cards can be complex. Hear from your peers first-hand as to what has worked for them and what hasn’t. Whether you have experience, or this is your first foray, you’ll walk away with new ideas and time-tested strategies for effectively managing card programs at the corporate level. The momentum behind faster payments is growing. As more financial institutions and corporates embrace faster payments platforms, fraudsters have taken notice and are rapidly developing new tactics to exploit the opportunities that faster money movement offers. Fraudsters are deploying new, sophisticated tactics that rely on synthetic identities and stolen consumer information in an effort to evade fraud prevention systems. This session will focus on fraud trends within the payment ecosystem and tools available to expedite payments without inadvertently accelerating fraud. Hedging decisions should theoretically be driven only by treasury’s desire to protect results from adverse market fluctuations. So should interest rate differentials, i.e. difference between forward and spot, matter? Should market prices be considered in hedge ratios or tenors? Obvious benefits may emerge, if forward points are advantageous. However, points may generate serious costs, usually if hedged expenses are expected in low-yielding currencies. This session evaluates the effect of interest rates on currency hedging programs. Real strategies, including new technologies and solutions, to help you manage and defend against bank fees, reduce operating costs and drive process efficiencies. Once thought of solely in terms of crypto-currencies, blockchain is fast being recognized as the future of payments systems, contracts and trade finance. But how does blockchain affect the treasury function? The decentralized ledger allows for lower costs, heightened security, and transparent privacy all the while offering faster processing times. This lecture will provide a clear picture of the blockchain phenomenon and potential impacts to the corporate treasury function. Government-imposed embargoes and sanctions on who you can trade with and how, are changing almost daily which poses a great risk to your business. How do you keep up-to-date with which payments and cash transfers are allowed? While you may have successfully worked with many of your suppliers for a number of years and know them well do you have the same visibility over those working with your subsidiaries? What measures are in place to deal with invoices that cannot be paid? What efficiencies can you obtain by automating and digitizing your purchasing, invoice workflow and payment processes? Learn about these trends in B2B payments and discuss how one company is enabling technology to streamline their process, reduce manual activities and paper, while using multiple accounting systems. For many corporations, receivables processing remains a resource-intensive, manual process. Automating reconciliations can deliver time savings of up to 80% while also reducing error rates and improving customer service, yet many treasury teams remain wary of investing in this area. Based on the experiences of real corporations, this session sets out a pathway that an organization can follow to introduce artificial intelligence into invoice matching and begin to reap the benefits of automation. This session will cover the basics of financial planning and analysis, as well as other key financial and accounting concepts. The standard financial statements (balance sheet, income statement and statement of cash flows) are outlined as well as the use of ratio analysis to determine the financial health of the company. The important ratios covered include those related to liquidity management, debt management/coverage and asset management. In addition to financial analysis, this session will discuss performance measures such as return on investment, residual income and Economic Value Added (EVA). Today’s customers demand a personalized, seamless experience. Many organizations rely on manual processes and static systems to meet these expectations. Robotic workforces (RPA) can transform data entry and validation into a streamlined process that shrinks SLA’s, reduces errors, enables scalable operations, improves workforce engagement and achieves a seamless customer experience without changes to existing back-office systems. This panel will focus on how to think about RPA, implement it effectively and maximize your RPA investment. Employees in management often want retirement compensation that goes beyond the 401(k), necessitating executive deferred compensation plans. Improper planning for these plans can result in significant and surprising risks and costs for the sponsoring employer and for the participating employees. This program will focus on explaining and distilling what can be complicated plan-design restrictions and opportunities, funding mechanisms, penalties for noncompliance, and deductibility issues, especially in light of recent changes under Congress’s tax acts. In today’s almost-frictionless foreign exchange markets, trillions of dollars flow around the world at the speed of thought, and economic fundamentals are often eclipsed by the narratives and delusions that motivate human behavior. In this session, Karl Schamotta will explore the most important stories driving markets in 2019 – analyzing how the noise surrounding populist politics, trade disputes, and economic fragility could interact with fundamental developments to influence currency movements over the coming year. I know what an insurance deductible is, but what the heck is a waiver of subrogation? Should our business agree to that? If you find yourself asking questions like that, then this session is for you. Topics include types of insurance policies typically required in contracts, additional insureds, contractual liability, occurrence vs. claims made, indemnification provisions, primary and noncontributory and more common contract requirements. Certificates of insurance will also be addressed. This session will provide an update on the latest U.S. economic data and forecasts on economic issues impacting your organization. In 2018, world economic growth slowed and the risks to the U.S. economy in 2019 from the China trade war and falling stock market have increased sharply. Polling data show 50% of CFOs see a recession in 2019 and 80% see a recession by the end of 2020. What does this mean for interest rates, stocks, and your businesses? The session will be a “101” on the debt capital markets, and will include basic information on the various debt capital markets, and an overview of the key concepts, terminology, and process to access the market, etc. Were there warning signs? Did your company have any internal controls in place? How did management respond? Were discussions with key advisers missed? Don’t become another fraud statistic. Learn how to identify fraud risks, and what to do if you find your company a statistic. We’ll discuss steps to detect and deter fraud, from zeroing in on early warning signs to implementing fraud prevention tools. Avoid becoming the next statistic. Is your business inundated with bill payment checks? Explore how Bill Payment Consolidation can help speed up and enhance the collection of consumer payments. The pace of individuals paying bills, either with their bank or biller-direct sites, continues to expand. Learn how the growing use of consumer online bill payment services and electronic payment delivery can help businesses increase speed of payments, reduce costs, and simplify internal operations. No two relationships between banks and their corporate clients are the same. As the world moves towards real-time treasury, the strength of each relationship depends on many factors, including product mix, price, customer service, the ease of doing business, and the technological capability of the bank. Based on the latest Phoenix-Hecht studies we will discuss proactive steps that can be taken to ensure that corporates benefit from the best relationships possible. This session will involve an overview of CTP math. It will not be the first time formulas and calculations are introduced. Any math associated with the relevant topics covered in the earlier sessions will have already been discussed <u>in context</u>. The difference is that this session will focus on the more challenging formulas and calculations found throughout ETM5. Along with math tips and techniques for <u>all</u> CTP candidates, the instructors will specifically address overcoming the ‘fear factor’ for those CTP candidates who have had very little exposure to financial mathematics or for whom it has been decades since they last took a college course involving financial formulas and calculations. Learn how Health Care Service Corporation, through the effective automation of cash positioning and forecasting dashboards, created more dynamic and effective treasury decision making tools. HCSC’s Treasury Forecast Consultants will discuss how they creatively interconnected treasury management systems (TMS), forecast models, SQL and Tableau tools, and investment reporting to redesign workflow and incorporate integration points to create a suite of more effective decision making tools for cash management, forecasting, capital efficiency, and investment portfolio allocations. Join these speakers for a comprehensive discussion on how to manage and maximize cash balances in today’s environment. Gain insights on the current cash markets, the role of prime mmfs, potential impact of Basel III for bank deposits and learn about new cash strategies and vehicles beyond money funds, treasuries and bank deposits for operating cash. How come there is still such a lack of wide visibility on cash improvement areas? Working capital management is the biggest single opportunity in corporate treasury today as lots of forecasts are still done manually by outdated treasury management systems. Yet, Big data can play a powerful role in two critical areas of enterprise finance: the working capital and risk management. The struggle of finding clearance in this fragmented web is more salient than ever. Advanced financial technologies will play a major role in transforming treasury management over the next ten years. In this session, Dan Carmody will discuss how major treasury management functions will be influenced and/or replaced by advanced technological developments. Furthermore, Dan will discuss the critical skills that all treasury professionals should develop in order to succeed in an environment of rapid technological change. Treasury Talent: What Does the Future Hold? The corporate treasury landscape and the role of treasury professionals is constantly evolving. In our session we explain the key skills treasury professionals need to develop to cope with future demand and the key steps they should take in order to cope with the challenges and achieve career success. We give realistic, practical advice that helps treasury professionals improve their future career prospects. Social engineering, particular phishing, is used in 96% of all cyber-attacks*. The largest attack risk for most organizations is its employees. Conventional phishing programs rely on traditional communications or marketing strategies to make users aware of the dangers of phishing, but these often fail. Using an Instructional Design based approach, rooted in Adult Learning Theory with targeted training opportunities, can truly affect user behavior and reduce your phishing susceptibility while strengthening your organization’s security posture. Corporate Treasuries are increasingly moving away from spreadsheets and instead choosing technologies that are appropriate for their complex global business needs. Whilst this has unquestioned advantages, it also raises challenges to ensure those systems integrate within their workflow ensuring the return on technology investment is maximized. All too often, the ability of systems to integrate without significantly dedicated IT resources it not considered early enough. In this session we will examine the non-negotiables to demand. Faster payments tend to be ideal for most treasurers to boost customer satisfaction and strengthen relationships with vendors. However, treasurers often face the question of finding the right balance among the three: efficiency, cost, and security. This session provides an opportunity to explore a variety of payment options and assess appropriate selections for different scenarios. When Do Banks Win vs. When Do Fintechs Win? In today’s banking landscape, the only constant is change. With the rise of financial technology, nimble companies hold distinct advantages in the market. Fintechs have been successful serving niche segments, but how should they expand to compete with banks? Additionally, what can banks do to combat this and continue relevant innovation to serve existing and future customers? This session opens with a discussion of the basics of money markets and how they function. Coverage of the different money market instruments and techniques used for the short-term working capital needs of the company will also be included. These include descriptions of different types of money market securities, as well as how these instruments are priced, yields are calculated and investments managed. Also included is coverage of short-term financing from the borrower’s perspective, including the calculation of the costs on bank lines of credit and commercial paper. This session continues with a discussion of the basics of the long-term side of financial and treasury management. The different types of securities discussed include: coupon bonds, convertible bonds, preferred stock and different forms of common stock. The procedures involved in the actual issuance of these securities are covered as well as the role of investment bankers in the process. The session continues with a discussion of the calculations involved the pricing, valuation and yields of long-term securities. For treasury analysts working with multiple bank portals, payments and reconciliation can be a painful, time-consuming process. But while there is clear value in having a treasury management system in place, many companies are not yet ready to make the financial investment required. That doesn’t mean that automation is out of reach though Ã¢â‚¬â€ a bank connectivity solution can help you take the first steps on the road from Excel to a TMS. Investors are past the storm: MMF reform has passed, the market is closer to the end of the expansion cycle, investors are experiencing a rising interest rate environment, while facing the end of LIBOR as a reference rate. Elevate your investments through understanding of macro trends and technology solutions. Please join GSAM and ____ for a discussion on the current market environment and how asset managers and corporate treasurers have adapted to the new normal. This session will enable Treasurers to cut through all the “cyber noise” and focus on what matters most to understanding and managing cyber risk. Attendees will come away with a better understanding of how to effectively engage with internal stakeholders and roles they can to help implement enterprise wide cyber risk solutions. Why treasuries have inadequate debt compliance processes. Why writing or having a debt compliance policy is needed for an effective debt compliance process and to protect your career. How covenant types and cure periods tell you which covenants are important. How to write effective questions about covenant compliance that are easy to answer (Impossible you say? Attend and learn a remarkably simple methodology. This will be an engaging presentation with insight from a Cyber Insurance Underwriter, a Cyber Insurance broker, and an Attorney focused in Security & Privacy Law. This presentation will touch on the basics of cyber insurance, as well as the evolving cyber policy terms & conditions as well as current claims trends. Today’s treasuries are being driven by process, automation, centralization, and standardization. New technology is becoming more and more important in transcending treasury. Listen to how exponential technology will bring corporate treasury to the next level of maturity with Robotic Process Automation (RPA), Machine Learning (ML) and Distributed Ledger Technology (DLT) for overall Treasury improvement. Take away the changes within today’s Treasury technology, gain insight into future functionality and use cases being applied. In this forward-looking panel discussion, practitioners and industry experts will share an update on where the industry stands in the development of real-time payments and how corporates can begin to prepare for these changes. We will discuss the challenges companies face in adopting new forms of payment and how treasurers can integrate solutions as they become available. Bank account management has been one of the top concerns of Treasurers for more than 10 years. Still many companies have difficulty maintaining effective controls over their bank accounts and communicating changes to their banks. Combined with non-standard KYC requirements, regulatory requirements and things like FBAR, this is a topic that requires a solid strategy for every corporate treasury. We will break the problems of BAM & KYC into manageable pieces that can be implemented in any treasury organization. This session covers the basic areas concerned with how organizations collection, concentrate and disburse their funds. Included in this session is coverage of field deposit systems, lockbox collections, cash pooling and different bank disbursement products. This session continues with a detailed discussion of cash forecasting, focusing on the calculations involved in this area. Do you keep hearing about all of the new options of payments? Do you wonder why you should pick one over the other? The pace of change in payments is lightning fast and as part of the treasury team, others are likely to seek your council to understand it. Come hear about these payment trends and help identify practical evaluations to help you educate others and look to design a payment strategy. With Federal interest rates climbing, smart companies now see operational dollars as earning assets. This new dynamic comes with questions: What’s the right amount of cash to hold on the balance sheet? Where should the company invest, and over what time horizon? This session will offer answers to these questions and address how companies can be strategic with operational cash, offering several tried-and-true best practices for strengthening liquidity positions that align with overall firm objectives. It’s no longer a question of “if” your organization will be exposed to a fraud attempt, but a matter of “when.” Even as fraud protection services evolve, fraudsters keep finding new ways to commit payment fraud. Understanding how evolving fraud schemes can infiltrate your business and taking action to prevent them is critical to mitigating your risk. Many of these attacks are not technically sophisticated, but rely on social engineering and deception to carry out their crime. In this session, we will review the latest payment fraud trends and highlight strategies for minimizing the risks. As a Treasurer, your operating demands have outpaced the technical resources available. We’ll review the current state of APIs, the benefits of the new API technology and how banks are making it easy to use this new technology so that treasurers can reduce manual processes, streamline data flows, get better information, and add new products/services with just the flick of a button. You’ll earn the real-world benefits that are accruing today. New technologies can help you apply cash faster and simplify invoicing. This can lead to lower costs and freeing up your employees to focus on the more value-driven business processes. For middle market and commercial businesses expanding internationally can be daunting. This session will dive into organizing an effective and centralized global treasury at an U.S. headquartered company as well as key considerations affecting companies across the globe including treasury technology trends, tax reform, regulation and policies. The typical Treasury Management System (TMS) – SWIFT connected, multiuser and loaded with functionality is a marvel of modern technology. There are few tasks in treasury that cannot be made efficient through the use of a TMS. And very few sophisticated treasuries without one. Yet many of these same treasuries also integrate specialist solutions for bank account management, foreign exchange, payments and other tasks with their TMS. From a technology standpoint this is a simple matter, from a business perspective this suggests that many treasurers see superior functionality beyond what’s offered in their TMS. Join us for a discussion of one company’s innovative approach to enhancing their traditional payment methods with Zelle. Learn how they collaborated with their IT team and reduced the number of payment touches while enhancing their client experience. Businesses of all sizes are integrating environmental, social and governance (ESG) practices into their growth strategies. A focus on ESG can help a company understand the positive impact and manage the risks its operations have on customers, investors, employees and communities. It is another way to assess the success of a company beyond the balance sheet and examine how it impacts the broader society at large. A company with a strong ESG program can gain credence among customers, specially millennials who seek to do business with responsible companies, and attract younger employees who are seeking jobs with companies that share their values. Treasury Strategies estimates that companies spend nearly $20 billion per year on bank treasury management services in the U.S., and more than $200 billion worldwide. Corporate treasurers who optimize their use of these services enjoy accelerated cash flow, improved risk management, higher investment income and quality information, all at a reasonable cost. Treasury Strategies, Hollister Inc. (medical manufacturer), Robert W. Baird & Company (financial services), will discuss key components of a best-in-class bank fee management program to optimize Corporate Treasury’s bank transaction spend by analyzing your bank fee analyses statements. Has the North American economy reached a tipping point? Between tariffs and rising interest rates, experts predict a slowdown that will bring more uncertainty to liquidity and asset-liability management. Will interest rates continue to rise? What will happen to the slope of the yield curve? How will long-term economic activity be impacted? This session will answer these questions by exploring inflation dynamics, budget deficit financing, the Federal Reserve’s policies, flight-to-liquidity events and more. Businesses have the same financial needs as always, but their digital expectations are evolving. Digital innovation is disrupting the notion of commoditized products and enabling differentiation based on experiences. APIs, mobile apps, biometric authentication, chat bots and real-time payments are redefining the digital experience and transforming traditional digital banking services. This session will highlight the impact of these technologies and explore their application. We’ll discuss how these innovations are breaking the digital banking mold by working together to provide a platform for leading-edge solutions and richer user experience. Many organizations are migrating to payment systems of the future – eChecks and Mobile Banking. Criminals are exploiting these futuristic methods. eChecks were subject to fraud shortly after launching, and Mobile Remote Deposit Capture (mRDC) double presentments are being reported with increasing frequency by bankers and practitioners alike. Little-known Rules within Check 21 and Holder In Due Course can mitigate losses. Meanwhile, it’s “back to the future” with old-school check fraud, which continues to persist. This session will provide an overview of POBO/ROBO capabilities and Virtual Account Management. Learn how Treasury can leverage these capabilities and add efficiencies to current and future environments. Optimizing working capital is a priority for companies around the world, creating an opportunity for treasurers to address the pain points and make a significant impact to a company’s bottom line. A Supply Chain Finance program (SCF) optimizes working capital by enabling a supplier to receive faster payment of invoices supported by the buyer’s financing facility. Suppliers of all sizes benefit from being able to get paid early in order to have the working capital available to respond to increased product demand as well as to invest in growing their business. With the Fed raising interest rates and increased volatility in both equity markets and credit spreads, liquidity is becoming an increasingly essential asset class. In this session, we will examine the risks and benefits of various cash strategies and investment options available in the market, featuring cash segmentation. Tokenization and alias based payments, are hot topics in the payments industry and used by consumers, corporates and their banks to protect and secure banking information, reduce fraud and to encourage and enable electronic payments. UPIC the grandmother of tokenization has been in play for years with growing interest, and will be integrated with Faster Payments. Creating a culture of diversity and inclusion encourages innovation, boots productivity and instills an atmosphere of employee commitment. How can companies measure the ROI of D&I. Windy City Summit delivers the tools, technologies, ideas and strategies for your success! 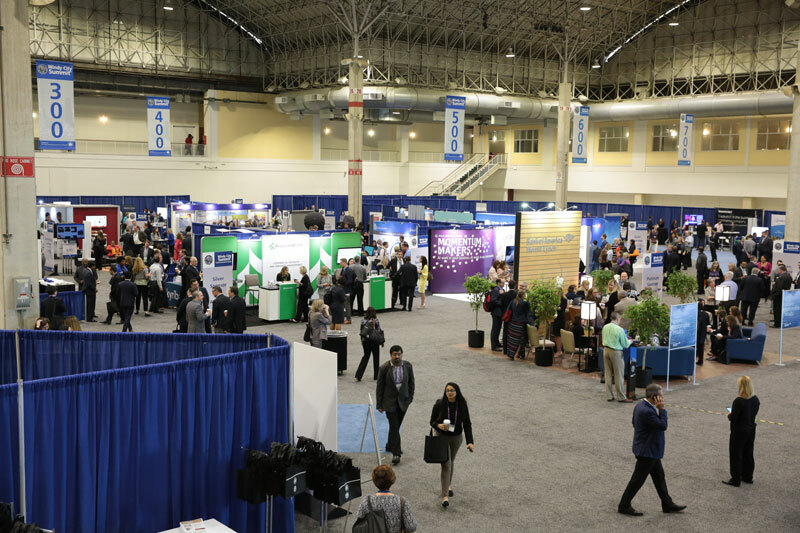 The conference contains more than 100 educational sessions – including case studies, panel discussions and expert presentations on a variety of financial topics, a keynote speaker, two luncheons with featured speakers, access to more than 60 vendors on one exhibit floor, networking opportunities with other treasury professionals and an optional tour of the Chicago Federal Reserve Money Museum fill out the two-and-a-half-day agenda. Your full conference registration includes three days of great content including an opening keynote, access to our exhibit hall, two breakfasts, two lunches with fantastic speakers, and our welcome reception. Experience The Windy City Summit! The large selection of various presentations in each session was outstanding. I had a good “problem” of having to choose from a few different speakers/topics each session. The highlight of the conference was meeting other Treasury professionals, meeting our vendors in a more casual setting in the evenings, and being in Chicago. I really enjoyed all three keynote speakers, but the highlight for me was meeting people from various industries and learning from them how they manage their treasury departments.